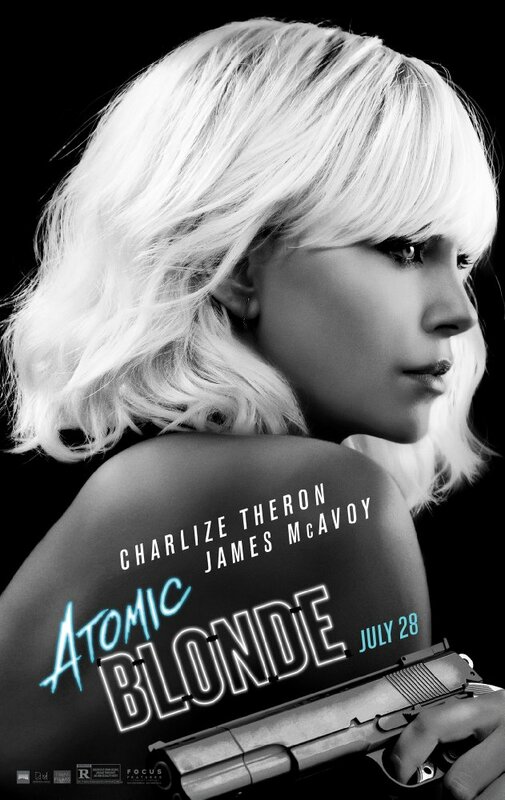 Atomic Blonde 2017. Directed by David Leitch. I only watched this for the first time a few days ago – it had quite a short run at my local cinemas – and I was expecting something of a spy-romp, in the vein of Modesty Blaise (1966). It was a surprisingly taut and very stylish spy thriller but I found the narrative (based on a graphic novel “The Coldest City”) a little on the light side. The cast are universally excellent, from Charlize Theron leading the pack as the MI6 agent, Lorraine Broughton, James McAvoy at his sleazy best as the Berlin MI6 agent, and Sofia Boutella as the French agent, Delphine. They are ably supported by three of my favourite actors – John Goodman, Eddie Marsan and Toby Jones. And look out for baby-faced Bill Skarsgard who recently starred as Pennywise in It (2017). There’s a couple of editing choices in the action scenes that I questioned but generally, this is where the movie shone. Unfortunately, the script is pretty flimsy and if it weren’t for Theron’s incredible and insightful performance as the world-weary spy, this probably would’ve collapsed in on itself and totally bombed. It’s yet another case of a really fine cast of actors having little to work with. Having said that, this is a perfectly serviceable first feature from David Leitch, a well-known stuntman and stunt coordinator (he’s been Brad Pitt’s stunt double in something like five of his films). Leitch has worked a lot with the Wachowskis and was an uncredited director on the surprise hit, John Wick (2014). I look forward to seeing how his directing career progresses – apparently his next film will be the Deadpool sequel. Nevertheless, Atomic Blonde is another perfectly fine popcorn movie and (despite narrative issues) a solid start for David Leitch.